Cook pasta as directed on package, adding frozen peas during last 4 minutes of cooking time. Drain; rinse with cold water to cool. Drain well. 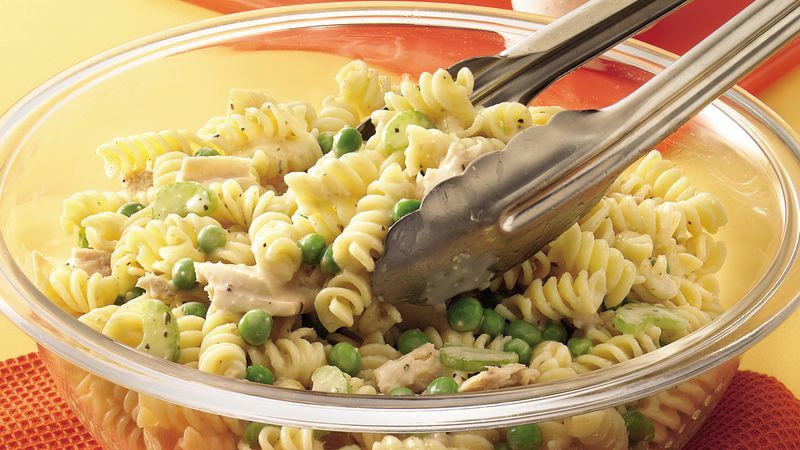 In large bowl, gently toss cooled cooked pasta and peas, celery and tuna. Pour dressing over salad; toss to coat well. Spoon salad onto lettuce-lined plates. If you'd prefer, ranch dressing can be substituted for the Parmesan peppercorn dressing.